The Gormiti 4 figure assortment (1 hidden) is an assortment of 4 Gormiti characters with playing cards. 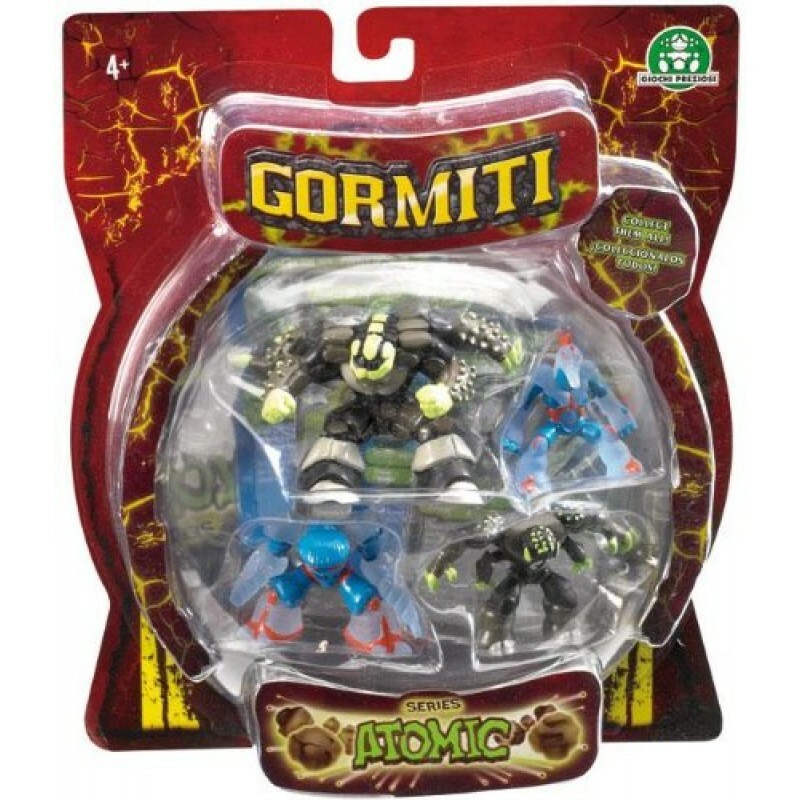 Each card has a description of the character and a power number and each Gormti figure has a number printed on its foot and the player with the higest combined number wins. Also included is a collectors leaflet explaining the history of Gormiti and suggested playing modes.